Russian Orthodox Patriarch Kirill flew to Russia’s Bellingshausen scientific station on the Island of Waterloo from Chile. The Patriarch’s spokesman, Alexander Volkov, dubbed the visit “a historic event in the life of Russian Orthodoxy” and said it was a proof that the Russian Orthodox Church exercised its office on all continents. The service, attended by Russian and foreign polar explorers, was held at the Holy Trinity church, the only Orthodox place of worship in the Antarctic. 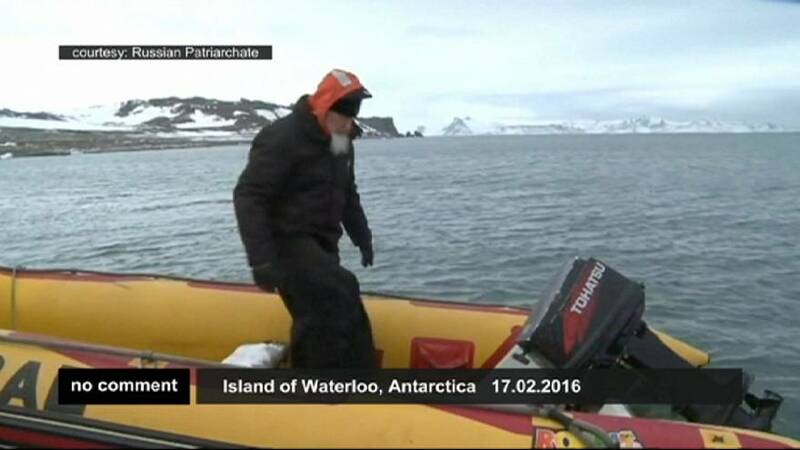 After the service, Patriarch Kirill headed to the shore were he was seen strolling among penguins in a warm polar coat.